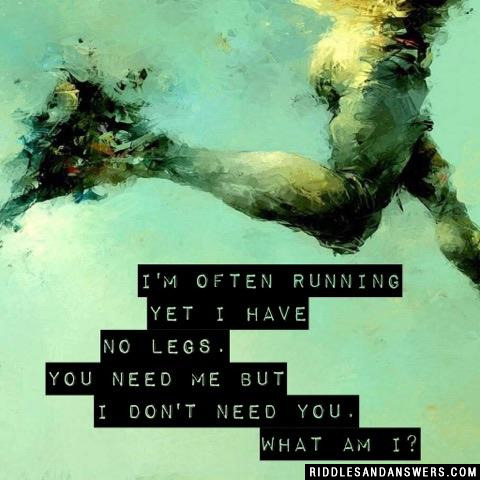 I'm often running yet I have no legs. You need me but I don't need you. What am I?